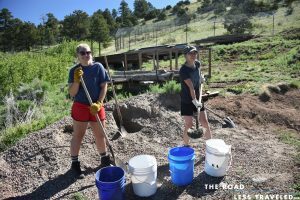 This summer I did a community service program with The Road Less Traveled, called Call of the Wild. 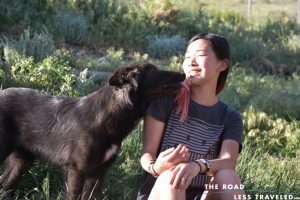 The program that I chose worked with an organization called Mission: Wolf, which is based in Colorado near a town called Westcliffe. Mission: Wolf is a wolf sanctuary that helps to rescue and house wolves, wolfdogs, and horses and provide a safe environment for them for the rest of their lives. This is due to if the wolves or wolfdogs were released back into the wild, they would most likely be killed by humans who are afraid of them. 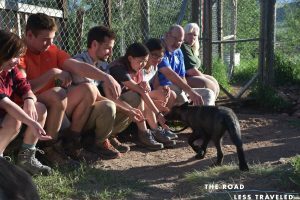 During my time there, my group was able to interact with the wolves on a personal level and help the staff and other volunteers there with tasks which that would benefit the wolves directly and indirectly. Some of the work that we did there was to help feed the wolves, which involved throwing bits of meat into the enclosures as well as to help process a horse, which was donated by its owner as food. The sanctuary has such a great reputation and relationship with the surrounding towns, that many restaurants will donate vegetable oil to help power the sanctuary’s vehicles, and local farmers or horse owners will donate their animals or surplus meat/game to help feed the wolves, which require an extensive amount of meat. Another task which we performed which helped the wolves indirectly, was we helped to build a cabin for a volunteer who was going to become a permanent resident and staff member of the sanctuary. This involved filling and carrying buckets of sand and gravel up the hill to where the cabin was being built, mixing and loading buckets of cement, and pouring and shaping the cement to help fill in the floor. 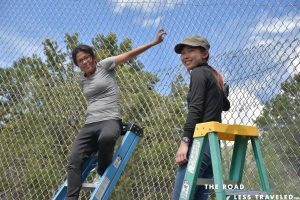 After we completed our part of the cabin, we also helped to expand one of the wolf enclosures by working on the fencing. 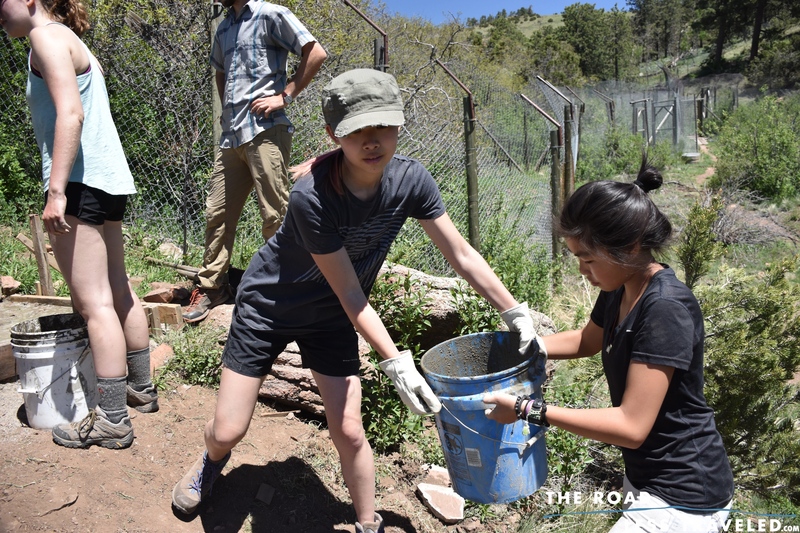 We helped by bringing hundreds of yards of fence up the side of the hill and hogringing the fence together to form a ground mesh and top mesh so the wolves could not dig under or jump over the pre-existing fence. We also helped to replace one of the old wolf fences with a new cow fence to help keep out cows, which are allowed to roam freely in Colorado and can cost the sanctuary thousands of dollars by destroying property. One of the last things we did at the sanctuary was take a class on Pet and Animal CPR, which we then became certified in after performing drills and routines on a practice dog (shown below). 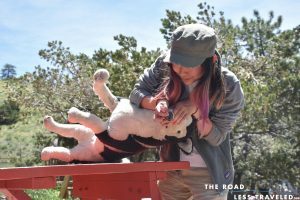 This experience was really eye opening to me to see how many people decided to leave the modern world of technology and the “rat race of life” as they called it to help out with animals. The entire time we were there we slept in tents, made our own food, and showered sparingly, which mirrored the volunteers own lifestyles. This not only opened my eyes to a new lifestyle but as well as to the new people who I met on the trip. 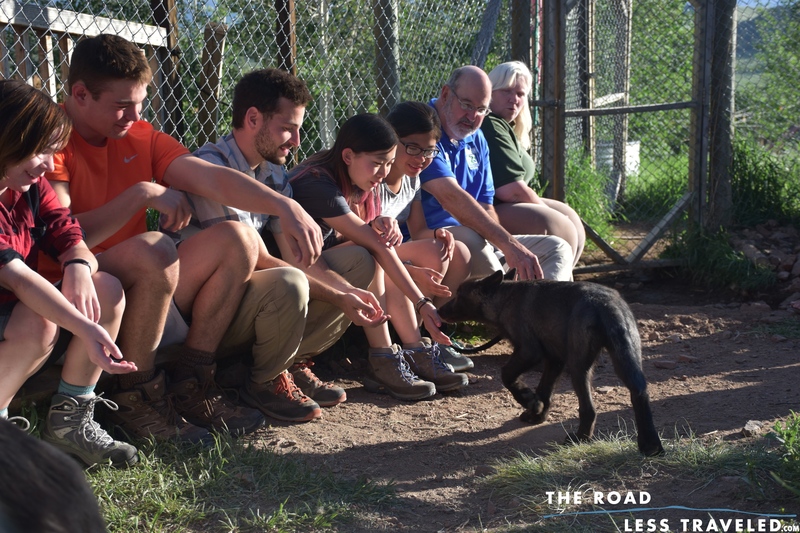 Another aspect which changed my life was working and interacting with the wolves themselves and learning about the impact that they have on people and the environment and how one species can play such an important role in the world. This entry was posted in Uncategorized and tagged Hubbell by Beatrice Findlay. Bookmark the permalink. Thank you for sharing your experience with us. I can imagine how interesting it was to learn first hand about wolves and the impact that they have on people and the environment. Maybe you can share with the US environmental club your experiences interacting with the wolves and your takeaways on how any one species can play such an important role in the world. I am sure they would be interested.